Hamilton Island - Beach Club is boutique style accommodation in the famous Whitsunday Islands with the World Heritage Listed Great Barrier Reef on your doorstep. 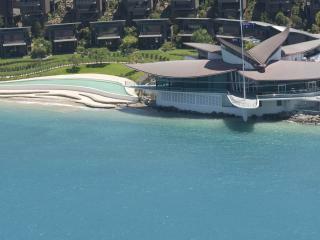 Renowned for its comfort and luxury, the resort faces directly onto Catseye Beach and boasts fantastic facilities. Conveniently located for all of your catamaran sailing, paddle skiing, windsurfing, jet skiing, bush walking, go karting, quad biking, parasailing and golfing adventures this adults only resort offers personal service and a relaxing atmosphere at an unbeatable price. Right in the heart of the Whitsunday group of islands off North Queensland's east coast, Daydream Island is ideally located close to the amazing Great Barrier Reef. 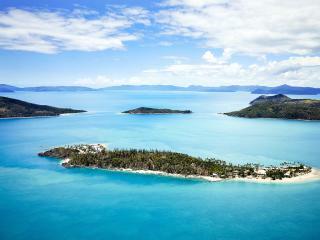 One of few inhabited islands in the Whitsundays, Daydream is just 5 km from the mainland of Shite Harbour. Popular with day visitors, couples and families Daydream Island is a tropical wonderland and relaxing island escape right on Queensland's doorstep. A few kilometres from the mainlaind of Cairns on North Queensland's East Coast, Fitzroy Island is a natural paradise. Surrounded by the World Heritage Listed Great Barrier Reef and covered in tropical rainforest, most of Fitzory Island is comprised of National Park. 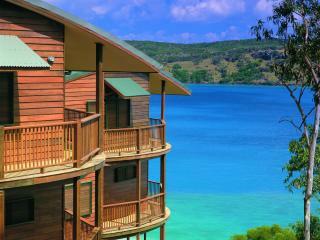 Set amongst the natural surroundings of the world's largest sand island, Fraser Island, Kingfisher Bay Resort is a unique holiday destination providing adventure and excitement but at the same time a casual atmosphere for the ultimate in relaxation. Kingfisher Bay is built to strict environmental standards, so its guests may enjoy the best of the natural surroundings. Hotel rooms and Villas are featured along with numerous activities, excursions and guest facilities. Just 45 minutes offshore from Cairns, Green Island is situated on Australia's spectacular Great Barrier Reef, one of the Seven Wonders of the World. 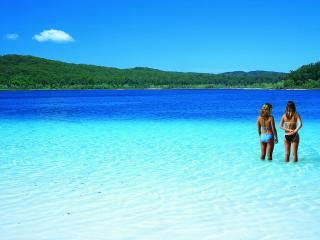 At just 15 hectares of National Park, Green Island is one of Australia's premier environmental heritage sites. 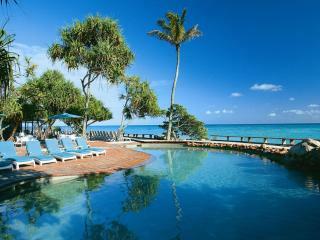 Haggerstone Island is a secluded retreat adjacent to the isolated coast near the tip of Cape York. Offering the ultimate in privacy and relaxation, Haggerstone Island is just a few miles from the sprawling wonder of the northern Great Barrier Reef mainland coast. Accessible only by air from the neighbouring Hicks Island, Haggerstone is a truly unique destination. Hamilton Island - For a comfortable, convenient and affordable home-away-from-home holiday experience it's hard to go past Hamilton Island Holiday Homes. These self-catered homes sleep up to 8 people and include Resort-Side, Standard, Superior, Deluxe and Resortside Homes to suit all needs and budgets. Fully equipped for all your holidays needs whilst still benefiting from all the fantastic facilities of a resort, these are the perfect way to relax on an extended Hamilton Island holiday. Hamilton Island - Along the waterfront of the Hamilton Island Yacht Club Restaurant and Bar and Marina, Hamilton Island Yacht Club Villas provide a luxurious haven on your next Hamilton Island holiday. Flanked by Dent Passage and the surrounding islands, this exclusive Hamilton Island accommodation is surrounded by tropically landscaped gardens and offers spectacular views of the water. Heron Island is unique, it is a National Park within a Marine National Park. A true coral cay, the Heron is bordered by pristine beaches, brilliant blue water and colourful coral and marine life that seems to stretch on forever. A nature lover's dream, Heron Island is a World Heritage Listed Marine National Park ensuring all plant and wildlife is protected. With little to no phone signal or internet access you can escape the stresses of daily life and enjoy the natural beauty of this tropical island paradise. Just off the north Queensland coast of Australia,Hayman Island is set amongst the spectacular Whitsunday Islands close to the spectacular Great Barrier Reef. The most northern island in the Whitsundays group, InterContinental Hayman Island Resort is renowned for its stunning views, luxury facilities and superior service. This unique island has become one of Australia's most popular holiday destinations for its prestigious location and exclusive indulgence. Located at the southern tip of the Great Barrier Reef, Lady Elliot Island is a coral cay renowned as one of the world's best diving and snorkelling sites. The marine ecosystem in this region also enjoys a multitude of birdlife, reef, fish and live corals as well as whales and turtles at certain times of the year. Enjoy excellent views of the colourful live coral on a glass bottomed boat ride or get up close and personal with the tropical fish scuba diving or snorkelling. 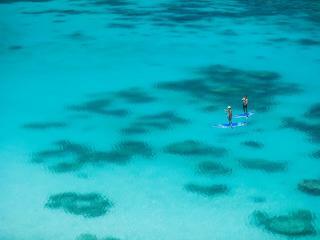 Lizard Island is your own personal island retreat; right on the World Heritage listed Great Barrier Reef. Lizard Island is Australia's northernmost island beach and easily accessible from Cairns. 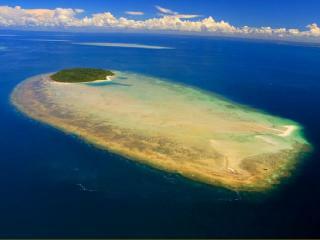 The island is a stunning National Park that covers 1,013 hectares. 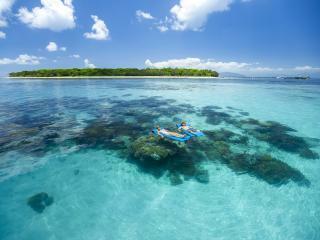 A truly unique destination, the island boasts beautiful outlaying reefs as well as 24 pristine, undisturbed beaches. 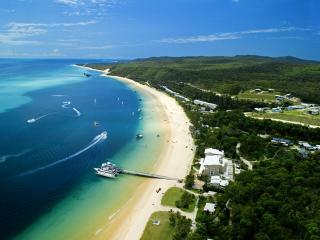 Located nearly 60 kilometres north-east of Brisbane, Moreton Island is a large sand island on the eastern side of Moreton Bay. 95% of the island is comprised of National Park making it an ideal holiday destination for four wheel driving, camping, fishing, recreation and whale watching. Listed on the Australian Heritage Register, Moreton Island is an unspoilt natural environment with little development to minimise environmental impact. 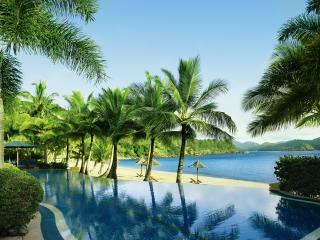 Hamilton Island - These free standing bungalows are the epitome of tropical island accommodation at its best. Offering fantastic views of the tropical gardens and golden beaches, Palm Bungalows are ideal for couples and small families. They boast the best of both worlds with all the privacy and comfort of a bungalow with all the perks of resort facilities. 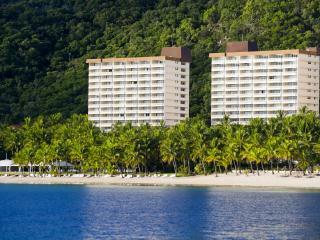 Close to all of Hamilton Island's major attractions, these bungalows are the ideal island retreat. 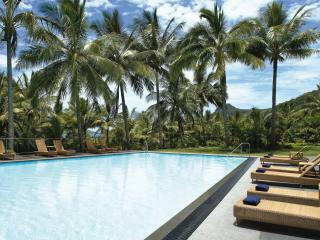 Hamilton Island - Home of Hamilton Island's most sought after views and accommodation, Reef View Hotel boasts luxury rooms and suites and a fantastic range of facilities. Enjoy stunning views of the tropical gardens or Coral Sea from your own private balcony, cool off with a refreshing swim in the pool, relax at the day spa or indulge at one of the restaurants or bars. Whatever your needs, Reef View Hotel has got you covered. Hamilton Island - Combining the comfort and convenience of self-catering facilities with all the indulgence of resort facilities, Whitsunday Apartments are an increasingly popular Hamilton Island accommodation choice. Enjoy the stunning tropical garden or Coral Sea views from your own private balcony or make the most of the fantastic facilities with a dip in the pool, a relaxing massage or beauty treatment or make your way through the cocktail menu at one of the restaurants and bars.